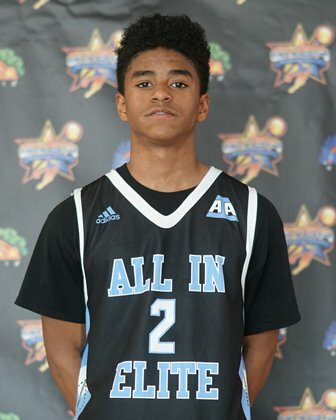 An elite young perimeter talent with the full bag of tricks at his disposal, Bull handles it well, can lock up defensively, he sees the floor well, and he can finish at each level. 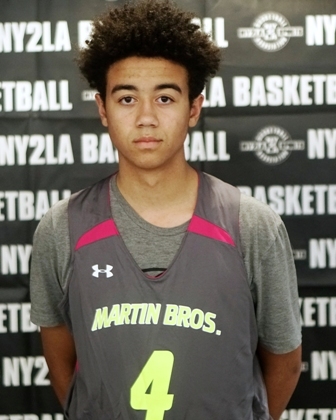 He brings instant effort and toughness to the hardwood and his ability to control the game offensively and defensively is impressive for a young guard. He was exceptional at times this spring. The top pure prospect in this year’s GNBA, Foster is equipped with size, length, athleticism, and evolving instincts making for a dangerously talented prospect. He blocks shots, can knock down the mid-range jumper, he finishes with either hand, he runs the floor well, and he has athleticism and the ability to posterize defenders already at a young age. A young prospect who played up at the 8th grade level this year, Foster is as exciting a talent to come through the GNBA as we’ve ever had. Big picture he has a chance to be special if he continues to develop physically and skill wise in the coming years. Every time you turn around Moses looks longer and taller than he did the last time you saw him. A long lean forward with the ability to finish at the rim, at the mid-range level, and beyond the arc, Moses has a tremendously high ceiling and he really hasn’t gotten started yet. 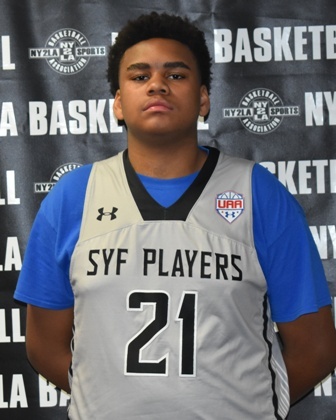 This spring he helped his team to a solid 6-2 mark during the regular season and did so with his rebounding, decision making, and ability to score and provide versatility and a nice floor impact when he hit the floor. Really like his projection long term and big picture he looks like a potential high major impact talent in the future. A pure blue collar do it all tough as nails productive forward who brings leadership, big play potential, and high quality consistency to the court. He plays hard and he has no fear, two of his biggest assets. A double double machine who constantly attacks and has the ability to score at every level, Price was a catalyst in powering his team to a surprise appearance in the league championship game where they came up a bit short to a loaded Ray Allen squad. He’s one young talent you just put out there and he leaves it all on the court game in and game out. He was excellent this spring. A long skilled versatile scoring talent who can put up big numbers and take the game over. His team generally plays hard and that’s their calling card but when a big shot needs to be made he’s the one they usually ask to get it done. He’s athletic, can finish at each level, and he can fill the box score. A matchup problem already who can slide between the 2, 3, or 4 when needed, Thompson was stellar at times in powering his team to an excellent regular season mark and the 8th Grade Gold Championship at season’s end.